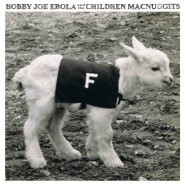 Bobby Joe Ebola and the Children MacNuggits. Part Two – Interview with Dan Abbott (guitar, vocals) and Corbett Redford (vocals), the talented musical comedic duo who make up the band, who have reformed after a 10 year hiatus. Today you could easily make comparisons to Tenacious D or Flight of the Conchords, but Bobby Joe Ebola were mixing folk, rock, pop & punk music with dark lyrics and creating their own unique brand of “pretty songs about awful things” long before these acts were popular. In part two of this interview, MLR talks with Dan and Corbett about their musical and comedic influences, their long hiatus (albiet with several quasi reunion benefit shows), and triumphant return in 2010. Armed with a new EP “Freaky Baby”, and full length album “F”, the band hit the road in a nation-wide tour to promote their wares. They are busy working with several directors on music videos for their new album, and more tours are planned for later in 2011. Credits: “MLR Intro” by “Rob McCann, “Jornaderos” by “Bobby Joe Ebola & the Children MacNuggits“, “Skin Cancer ” by “Bobby Joe Ebola & the Children MacNuggits“, “Sandwiches and Ammunition” by “Bobby Joe Ebola & the Children MacNuggits“, “Pac Man and Pop Tarts” by “Bobby Joe Ebola & the Children MacNuggits“, “The Crazy” (Performed Live in MLR Studios) by “Bobby Joe Ebola & the Children MacNuggits“, “Waking Up Is Hard to Do” (Performed Live in MLR Studios) by “Bobby Joe Ebola & the Children MacNuggits“, “Lake of Flies” by “Bobby Joe Ebola & the Children MacNuggits“.